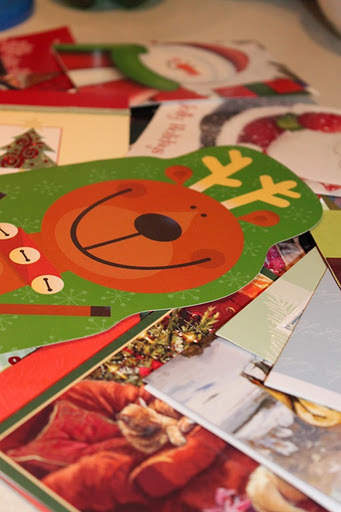 Did you ever make Christmas gift tags from the fronts of last year’s Christmas cards? Did your Mom have a drawer for paper bags and one for plastic? If only I could access MJ's twisty-tie collection!! 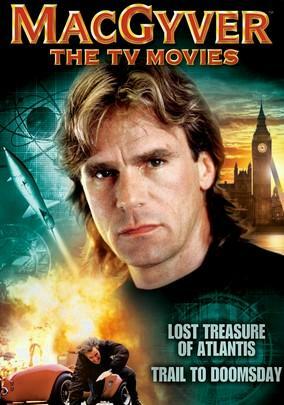 Did you have a collection of twisty-ties and rubber bands that MacGyver would envy? Were you ever asked to rinse off tinfoil for future use? Have you ever IRONED old wrapping paper? Christmas is nearly here; I still make my gift tags from last year’s greetings. I shudder to discard a sturdy bow and I’ve found myself diving after a pretty gift bag when hubbs nearly tossed it. I don’t need to “go” Green; I went long ago. I grew up in my Mother’s kitchen; as Depression’s child, she made sure nothing was wasted. No paper was wasted writing this blog; Mom’s gonna love that! To make gift tags, just cut the front off old Christmas cards (making sure there's no writing on the back). Cut in 1" strips across the card; fold in half. Write message inside, double-stick tape on the back and marvel at your inner Martha! MJ, this crossed my mind last week. I’m not sure when zip-lock bags came on the market, but I recall my mom rinsing out bread wrappers and using them over and over and over. And yes, we saved wrapping paper and bows and the twisty ties (from those bread wrappers!). So you’re right: we were green before it was cool! Oh yes, she did that as well. She baked her own bread and would keep bags that other items came in to store her bread in. And we certainly had our share of “don’t toss that… ” said in the kitchen! Another aspect of being ‘green’ before it became necessary is the fact that back in the stone ages when I was a kid we didn’t have so much plastic. I remember liquids bottled was in glass, bread didn’t come in plastic bags, lunch sandwiches were wrapped in wax paper, etc. I sometimes think that progress has simply given us more work to do. Have you noticed that at Christmas time you can find 6-packs of bottled Coca Cola? Woo-hoo! My parents, my in-laws and my grandparents left us quite a legacy. I love, love this and wish our children, nieces and nephews would read. We ironed beautiful paper and slightly crinkled bows to bring them back to life. I remember directing my daughter to do just that when she found some slightly crinkled beautiful paper. Huh? She was confused…then, upon sliding the iron on the paper, smiled at how she had made something used, new. Remember recycling jelly jars into milk and juice glasses? And yes, I rescue colorful plastic flatware to wash the pieces. Thank you for the gift tag idea. I do remember recycling jelly jars into juice jars, for sure! And I admit to washing plastic flatware to use again .. my guys give me a quizzical look but they’ve learned it makes sense! I’ve got a whole bag of beautiful paper and bows from years past .. and some of that ribbon with the wire tucked inside. I’d never spend the money on it new .. but I sure love to dress up a pretty package with it. We grew up very “green” and those habits are still in place to this day. Crooked fence nails get straightened and used again as do perfectly good bread bags, wrapping paper, ribbon, bows, x-mas cards for tags, envelopes from junk mail, even tortilla bags that “zip” closed at the top. In the past I’ve even re-used others greeting cards as post cards. Rip off the bottom portion, write your message, affix postage and fire it back! I use to find the whole “Go Green” thing kind of annoying because, really, it’s all about using common sense, but hey, whatever it takes to get us all on board to developing better habits! Good post MJ! You are so right; it is all about using common sense. They had it and loads of it … and were green long before it was popular. We saved twisties, rubber bands, wrapping paper and bows. Also bread bags and grocery bags. Birthday gifts were sometimes wrapped in the Sunday comics. Yep. I’ve been green a long time too! MJ, I never thought about it, but you hit the nail on the head. What was done out of necessity back then is called recycling now. To this day, when opening presents, there is a box where good bows, ribbons and wrapping paper is placed to be used again. So true! Funny to read it. My Mom was a “gift wrap & bow” keeper as well as many other things. I think that she got that from growing up during the Depression & WWII. (that doesn’t explain away why my wife still does it…but God bless her heart she’s happy doing it and bows can be used REPEATEDLY). And yes, bows can be used again and again and again. That’s so true MJ. And no extra energy is required to turn it into something else. Jelly. Jars made juice glasses and coke bottles used to be refilled. I still can’t throw away a good gift bag either. We even put our Christmas tree (after New Year’s) in the pond for the fish to use as spawning and bedding material. A second use for everything and a gift to Mother Earth! Thanks for the reminder. Yes, yes, and yes. I’m not too good about the re-usable bags either. I have them and forget them 1/2 the time. So I use paper or plastic and those get re-used. Believe me. I am not green at the gills but someone who tries to do as my mother taught: see the use in everything .. and alternates. Ditto on most of the things you said, MJ! I have yet to wash tinfoil, however (my Grandma did!). I have one to add…cloth shopping bags are all the rage now, but I’ve had my collection of cloth bags for at least 25 years! This is funny! We did all but save foil and iron paper. I will still re-use foil (provided nothing’s stuck to it .. like cheese…) but I can honestly say I haven’t ironed wrapping paper in quite a few years. Love, love the card as a tag idea. Going to steal it this year. And I know what you mean about saving everything. We always had a collection of margerine tubs at the house. These days, my brother throws out Mom’s extras.